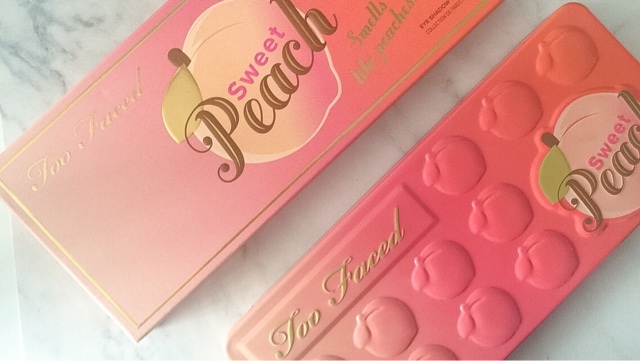 My parents kindly bought me the Too Faced Limited Edition Too Faced Sweet Peach Palette for my birthday and I love it. I finally own all 4 of the 'chocolate bar palette' ranges. The Too Faced original chocolate bar range all smell like chocolate and are edible which I love, I genuinely could smell them all day haha. However, this palette smells like sweet peaches and I actually prefer this scent to the original, permanent line. 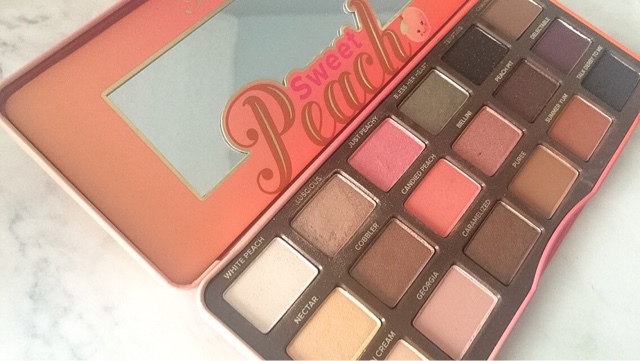 This palette is very peach and pink toned with a lot of deeper shades which are great to a create a night time look. My favourite shades are just peachy, candied peach and summer yum. These shadows create a perfect summer and warm toned look. The palette retailed for £39 and is sadly out of stock however if you are a collector you can purchase this on ebay or depop for around £80. Did you manage to grab this palette? This palette looks so pretty and perfect for spring/summer! Haha it smells wow too! I did hear that the darkest shades in this palette are harder to blend, unlike their usual palettes which is why I was put off purchasing this! Yes, I bought it when it first came out, and I've worn it a couple of times. I love the peachy, pinky shades. I haven't had time to swatch them all so I still haven't gotten around to reviewing the palette, but I should coz I think it's so pretty! Candied Peach and Cobbler looks so nice! I need to get me some of those! I love the smell on these too, honestly Too Faced is the best! I've been itching to get my hands on this palette for a while now and your blog post makes me want it even more haha. You did such an amazing job with the swatches!